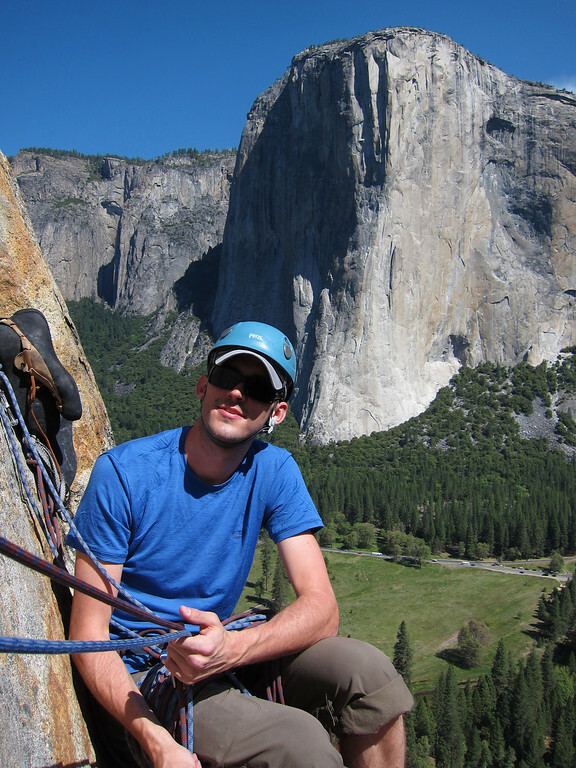 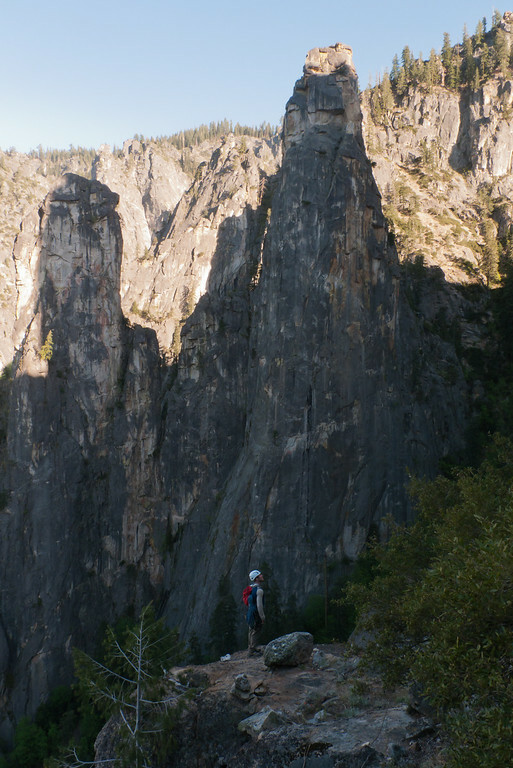 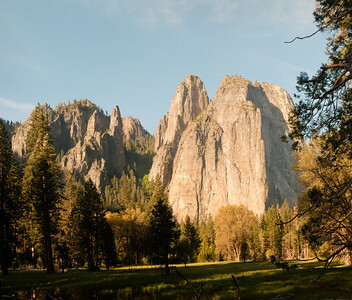 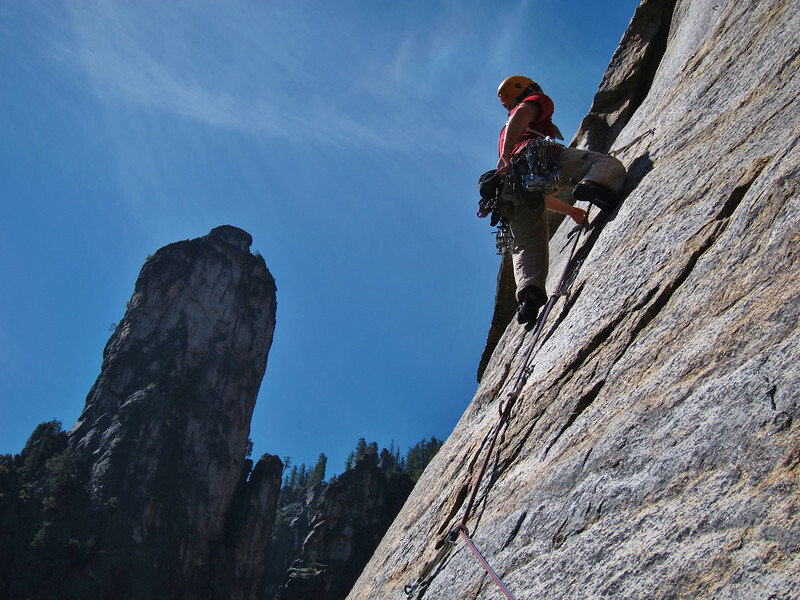 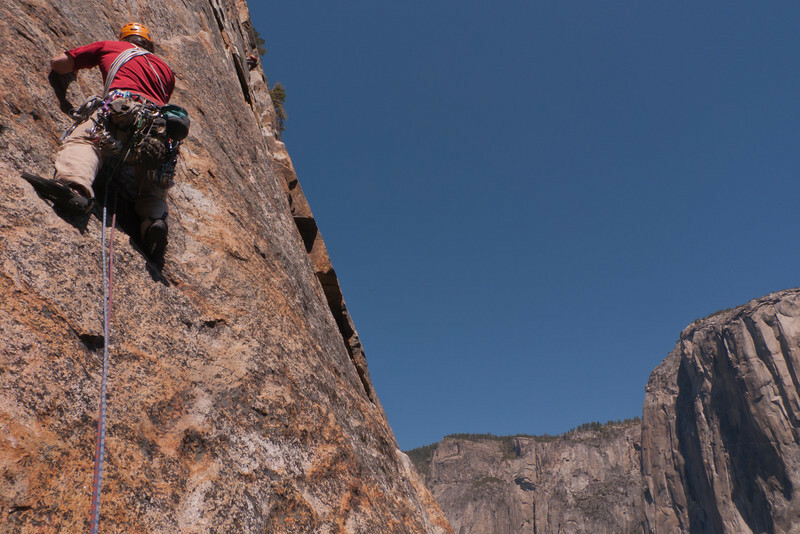 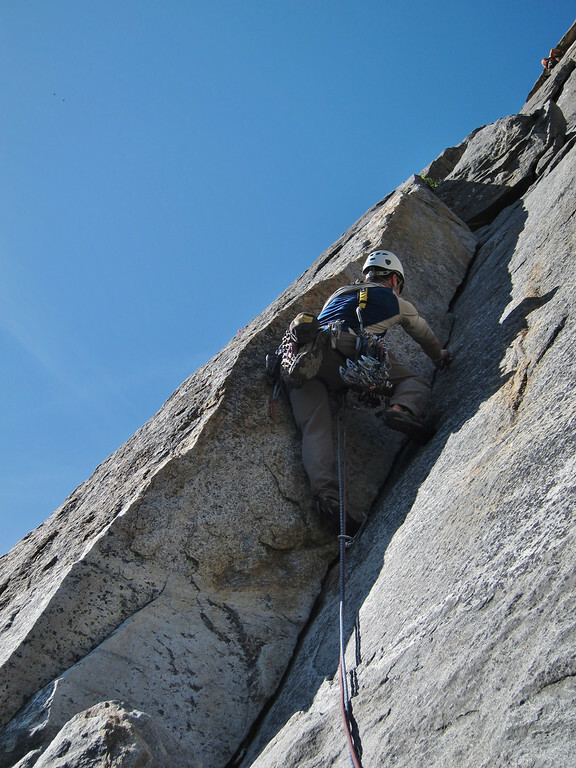 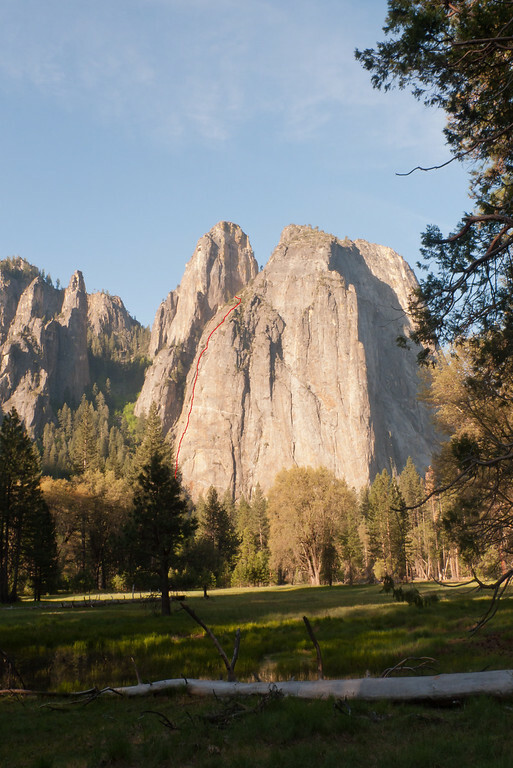 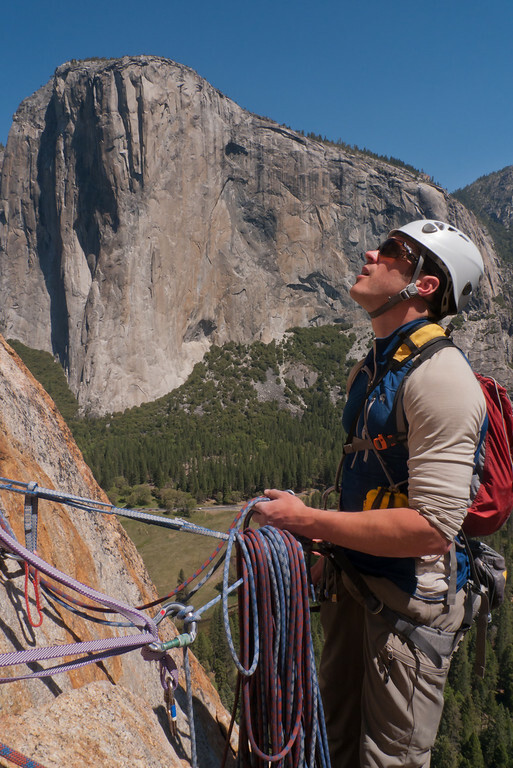 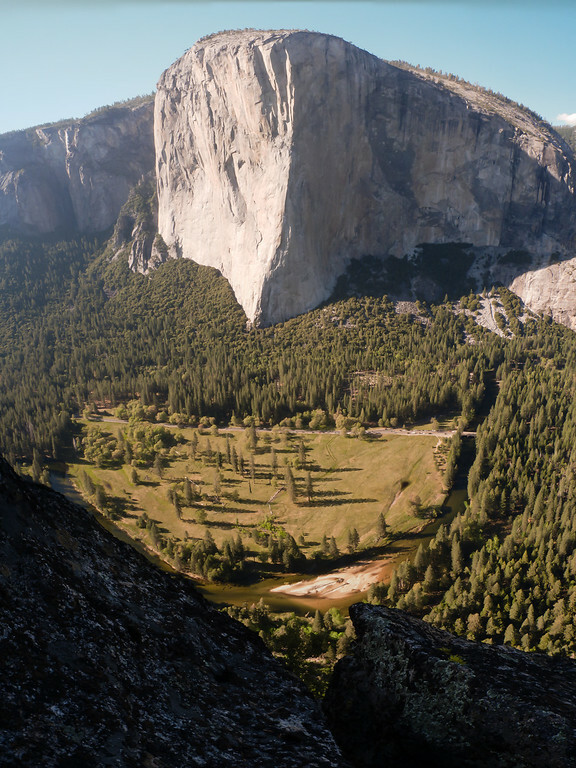 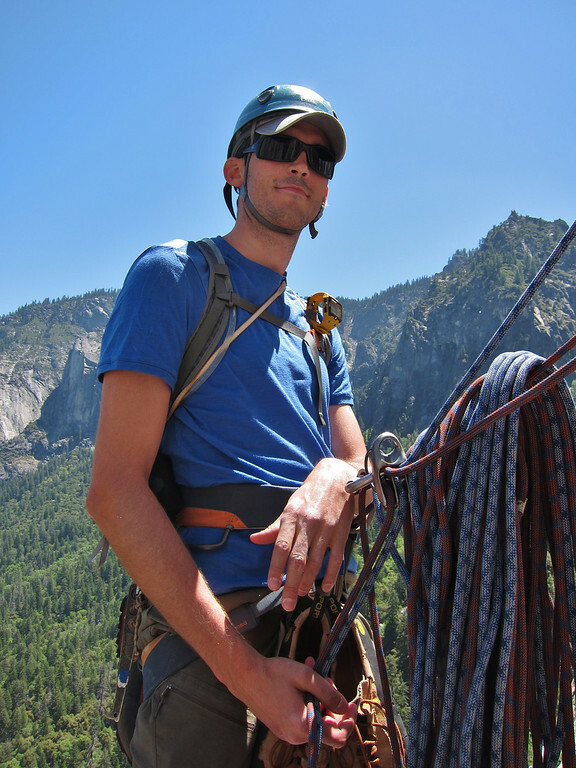 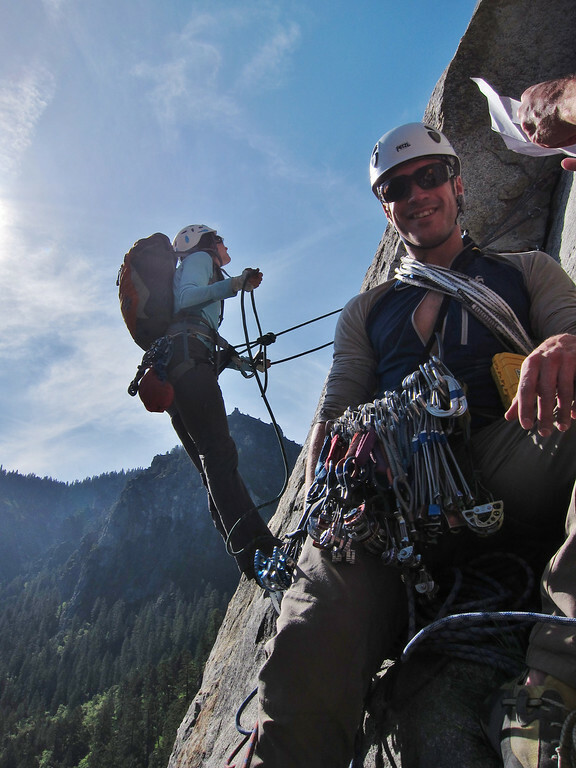 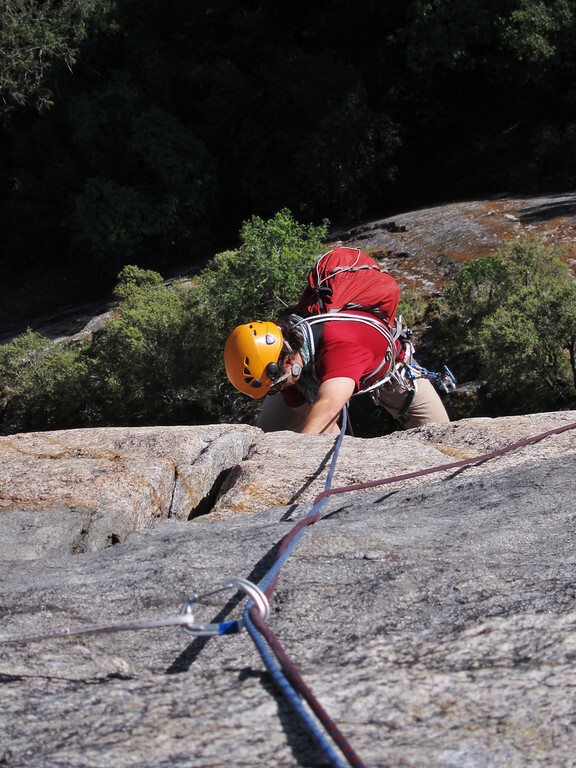 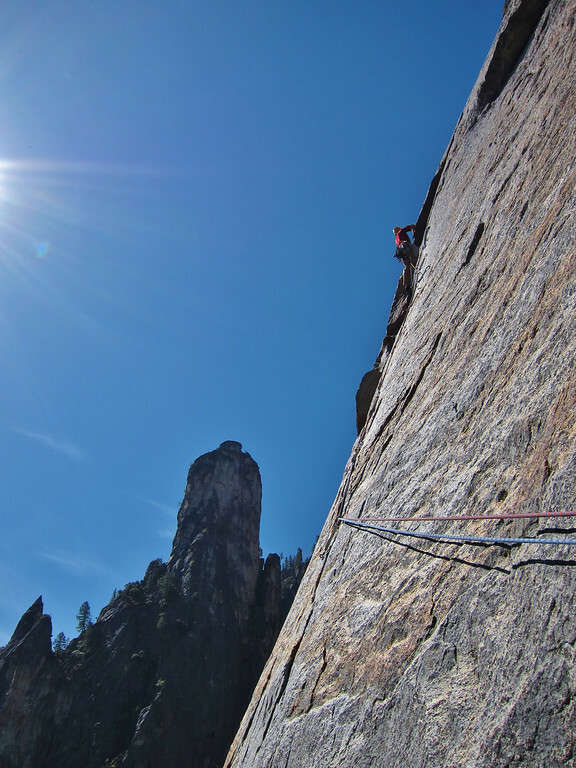 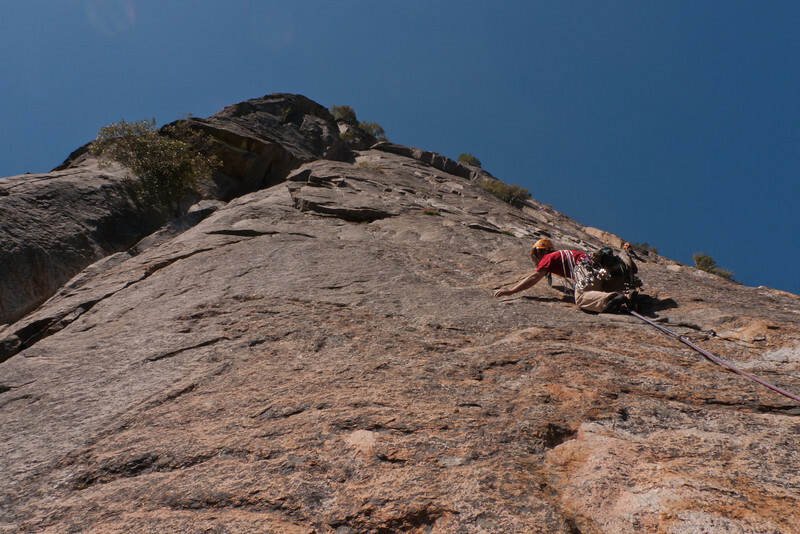 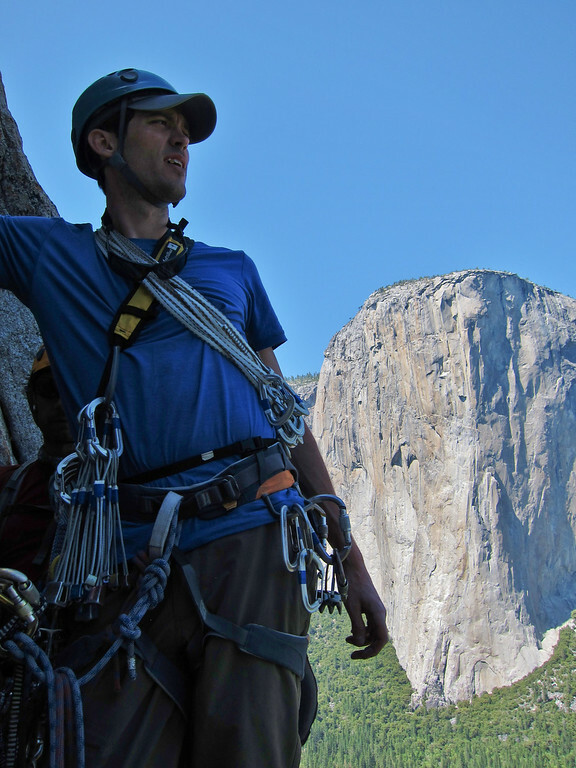 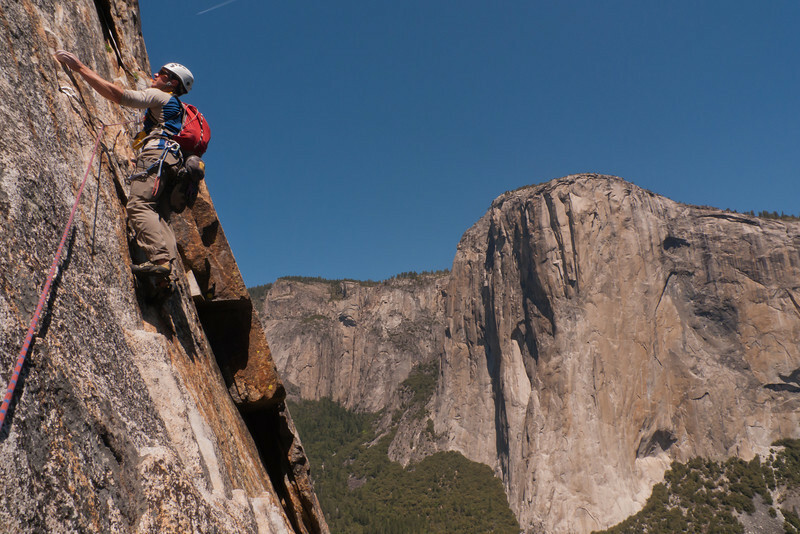 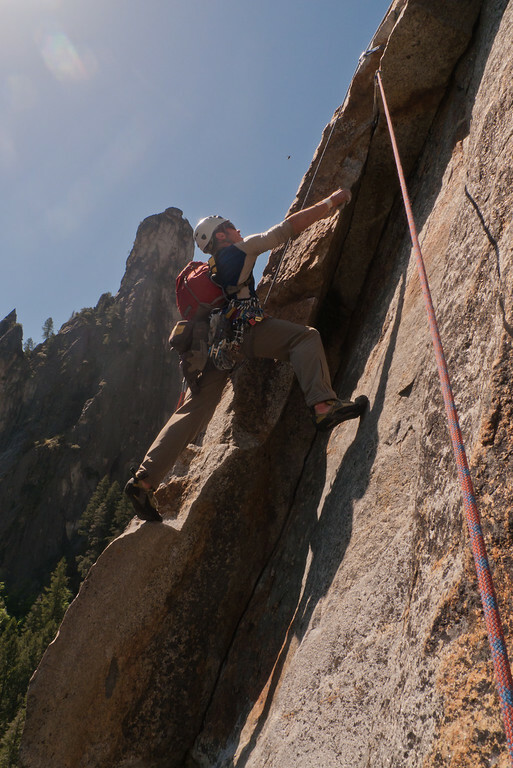 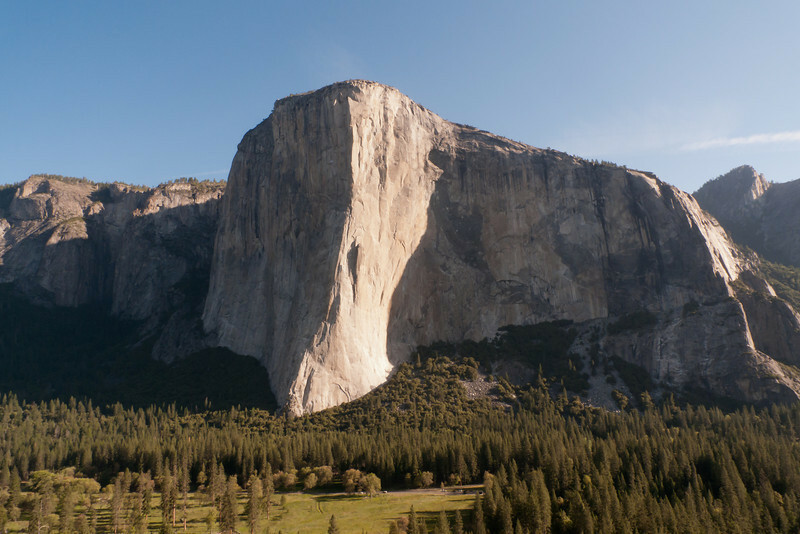 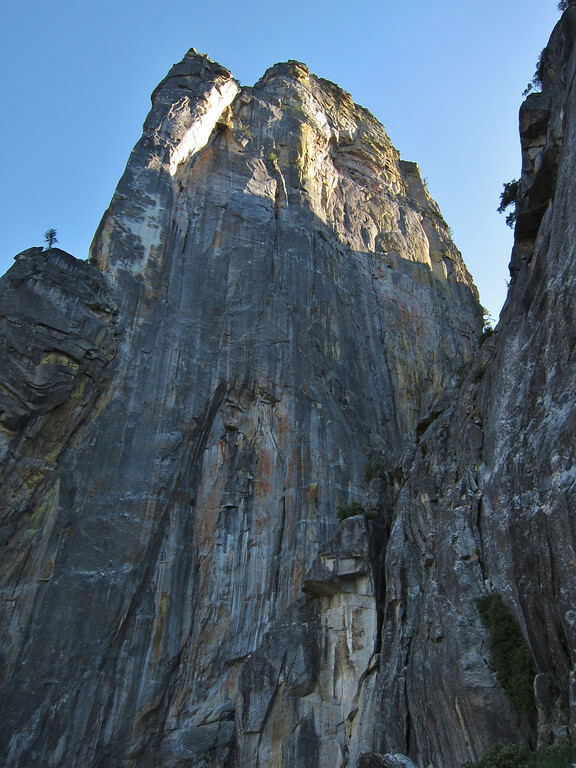 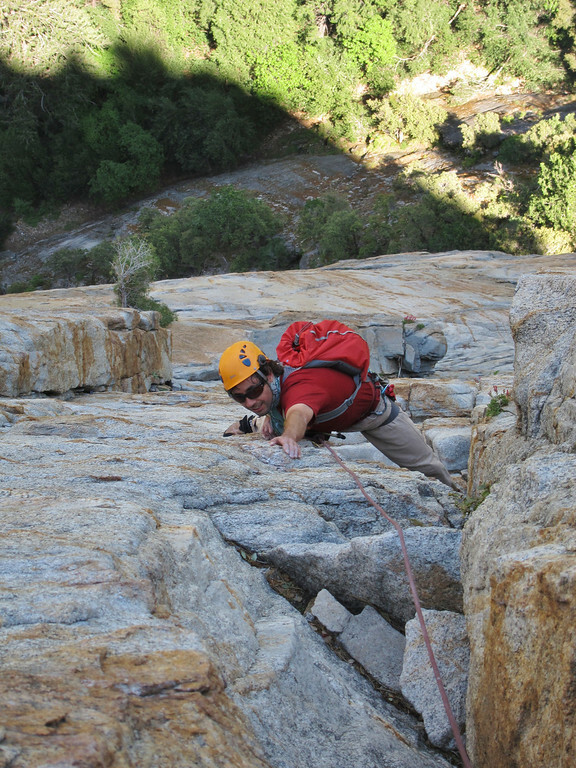 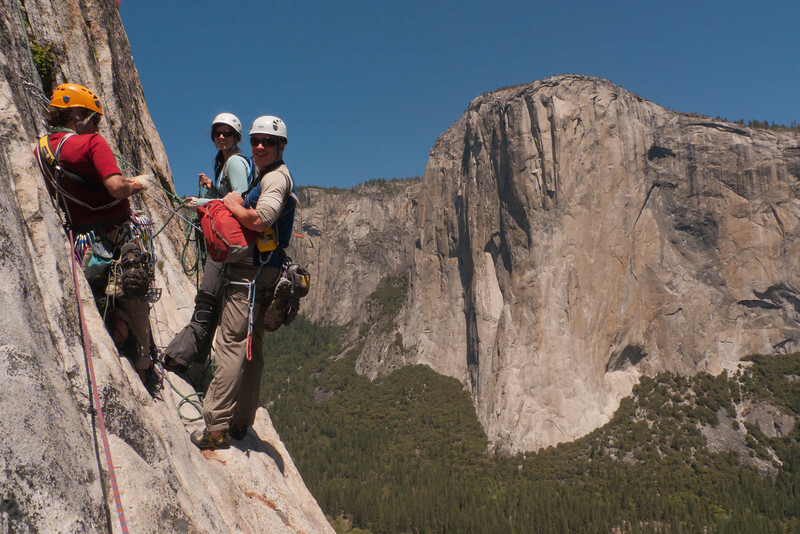 Synopsis: With a great weather forecast and climbing season back in full swing, Cuauh, Jon and I headed to Yosemite Valley for a quick day trip to climb the East Buttress of Middle Cathedral Rock (5.10c) in Yosemite Valley. 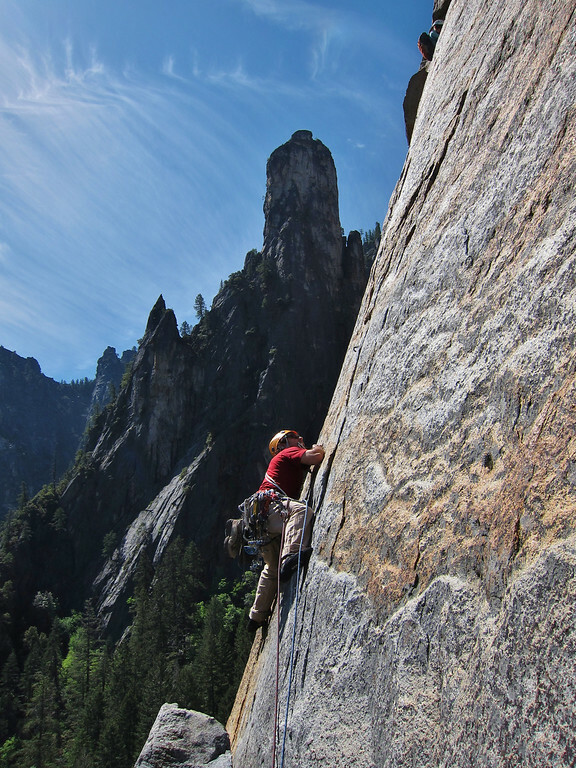 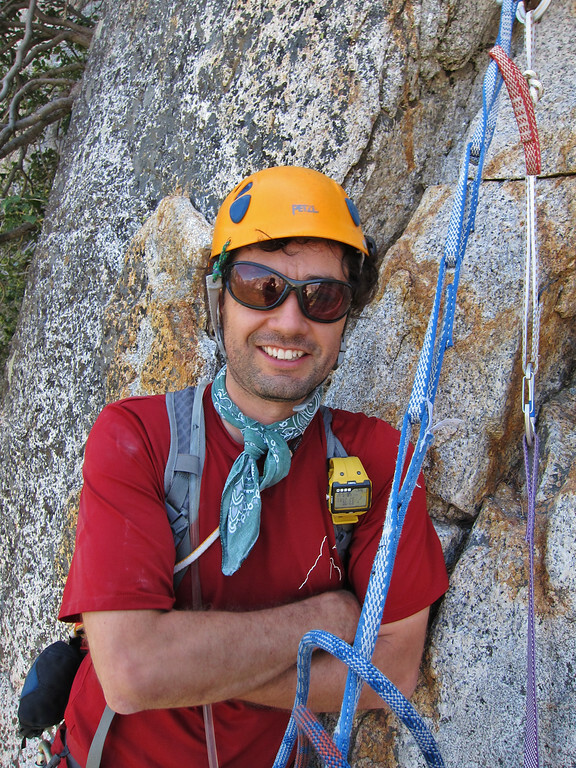 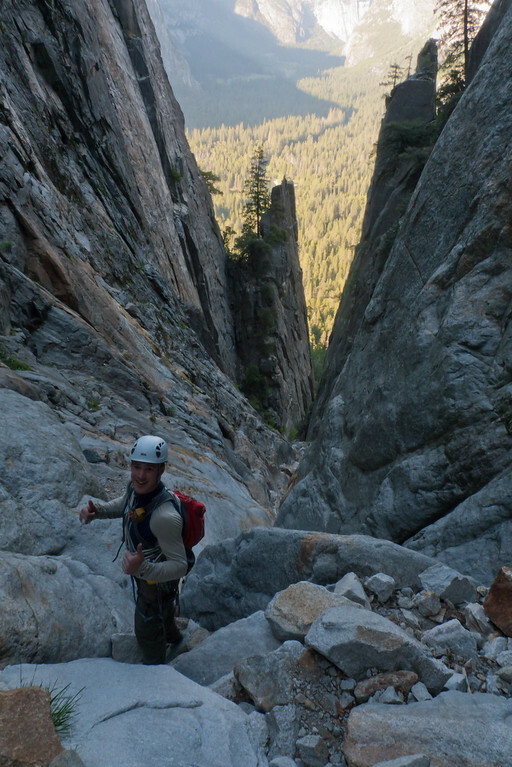 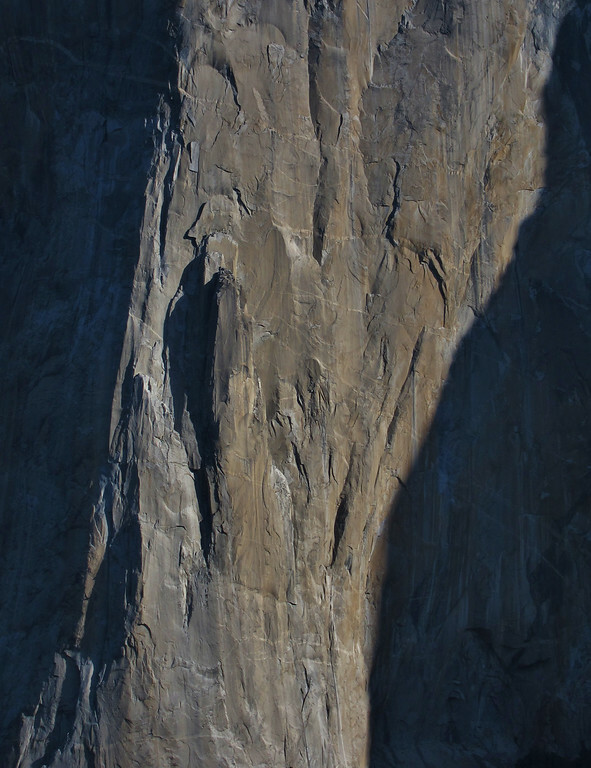 Included in Fifty Classic Climbs of North America by Steve Roper, the East Buttress is an extremely popular route and actually offers two variations with some chances to pass folks. 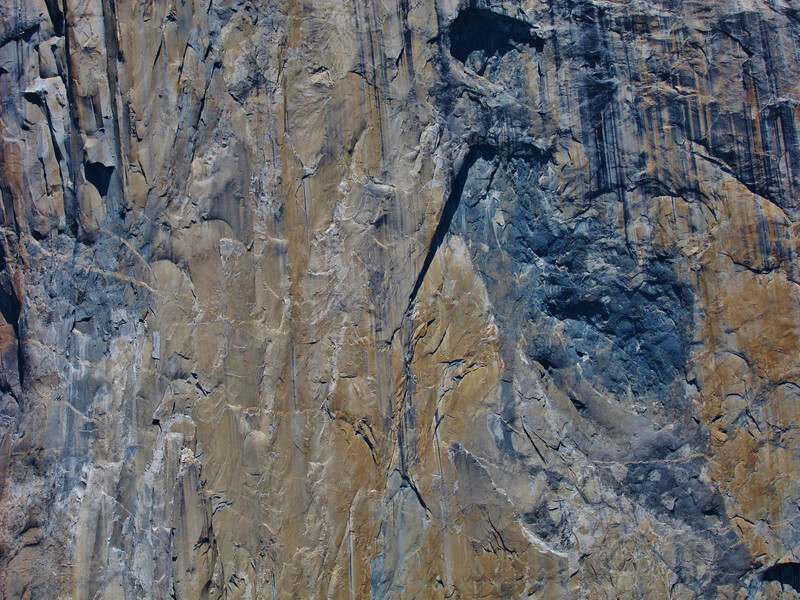 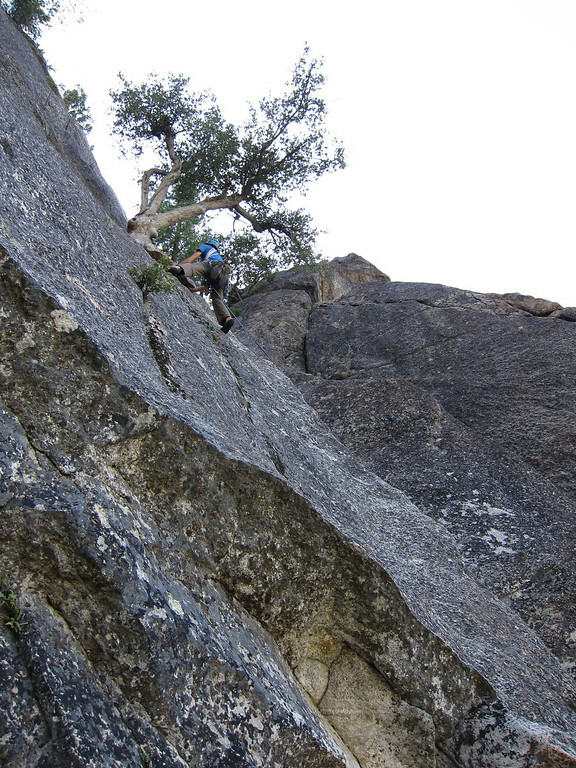 The “50 Classic” Variation includes a 5.10a traverse that bypasses the 5.10c bolt ladder. 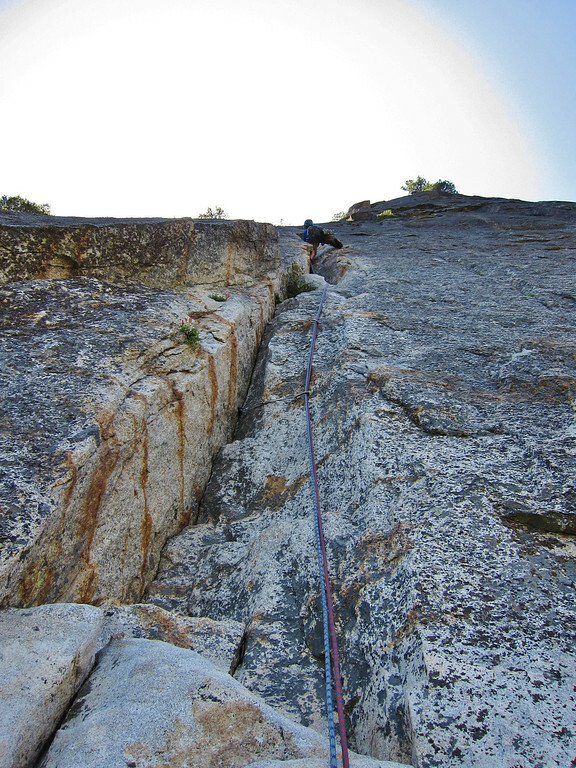 Cuauh had climbed this route before and wanted to try his land at leading the 5.10c bolt section and 5.9 roof above, so we went with that variation. 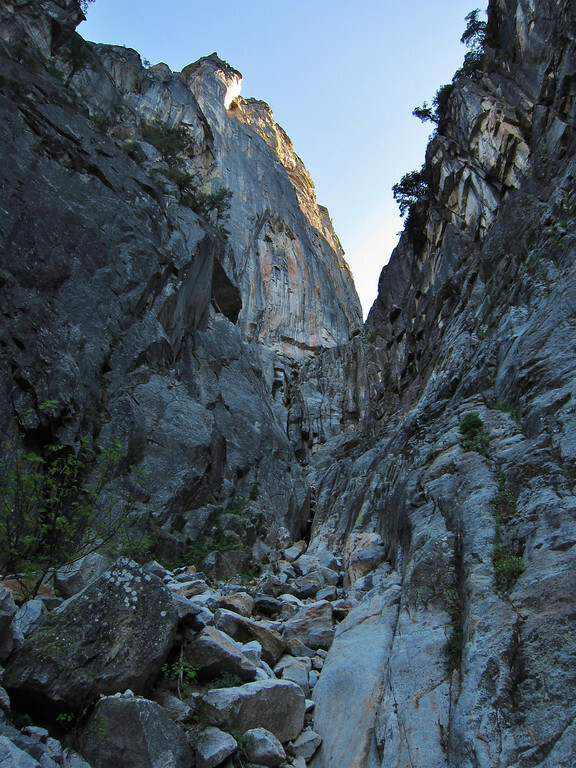 When we arrived at the base of the route, there were already two groups above us on the route, so we had to wait a bit to get started. 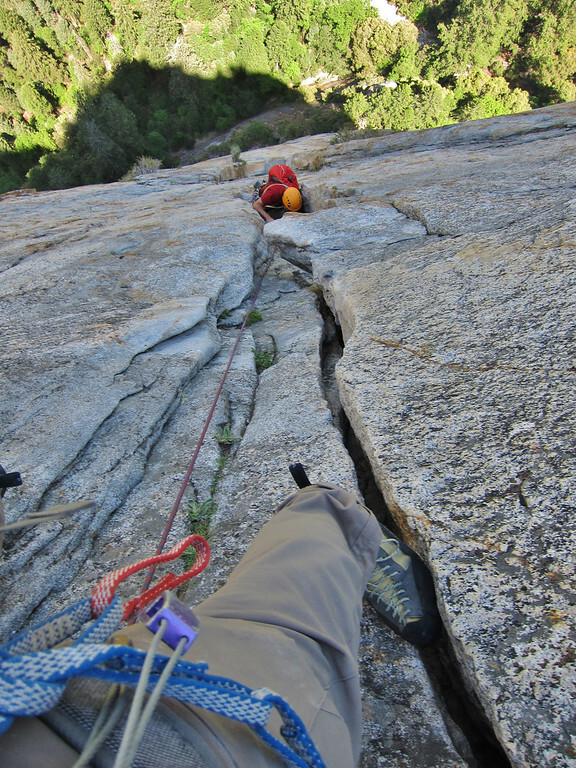 The entire day was essentially quite a bit of waiting at belay ledges for parties to progress up the route. 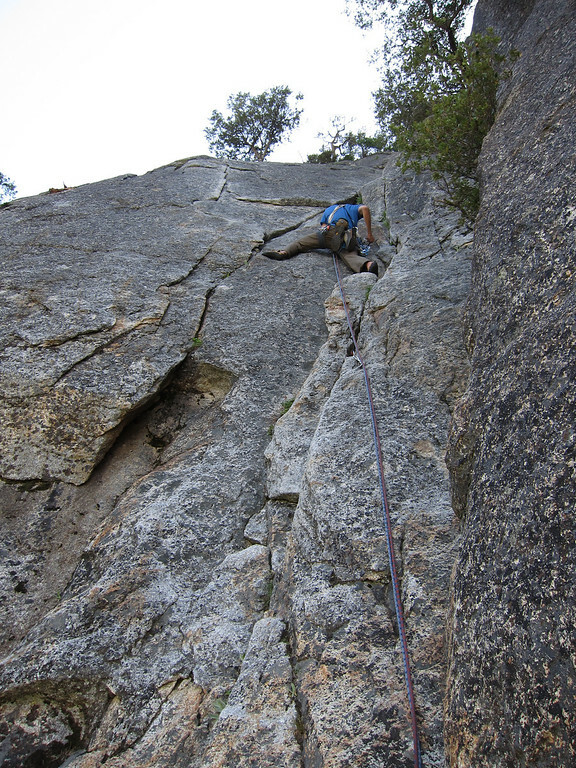 While it was not the most efficient climbing, it was still a great day as (i) the views were spectacular, (ii) the weather was perfect and (iii) I was climbing with great company. 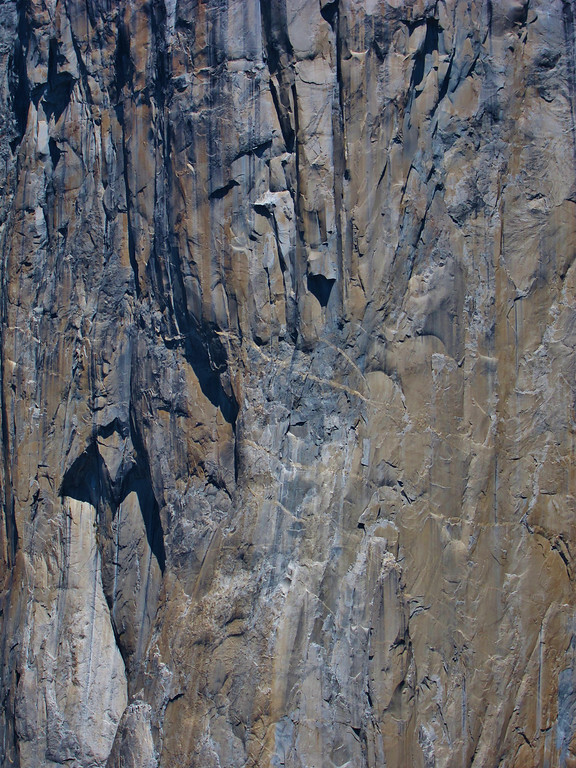 So I won’t bog down this Trip Report with the details on all of the delays and appropriate areas to pass. 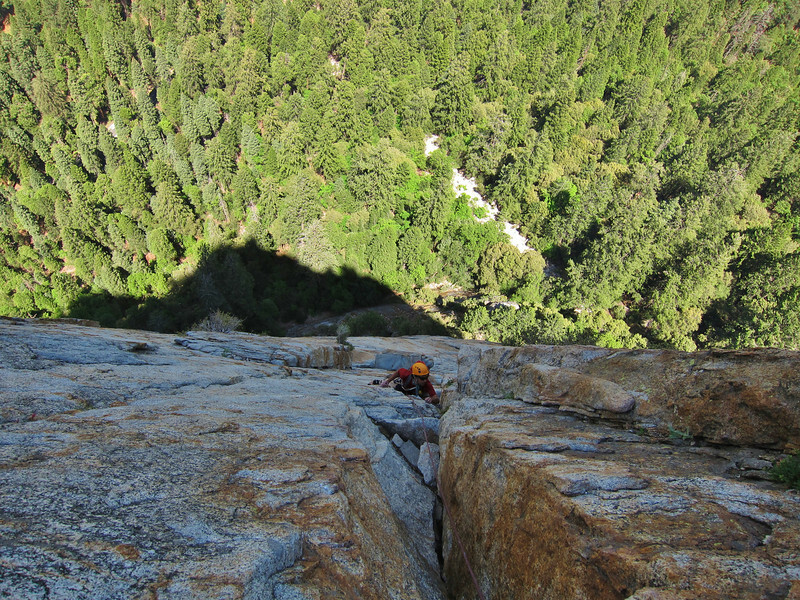 As I write this Trip Report, I am actually half way done with a 9-day Wilderness First Responder course with WMI. 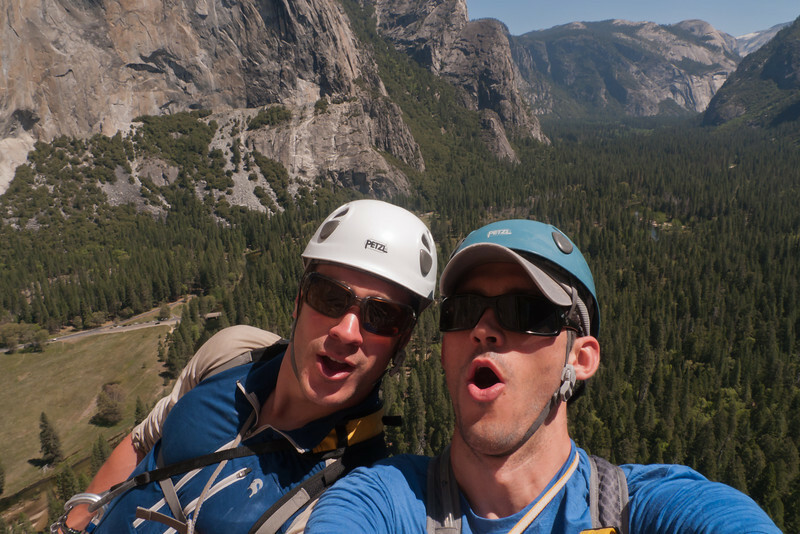 Therefore, I am in a bit of a rush and going to quote Jon’s captions on a number of his shots. 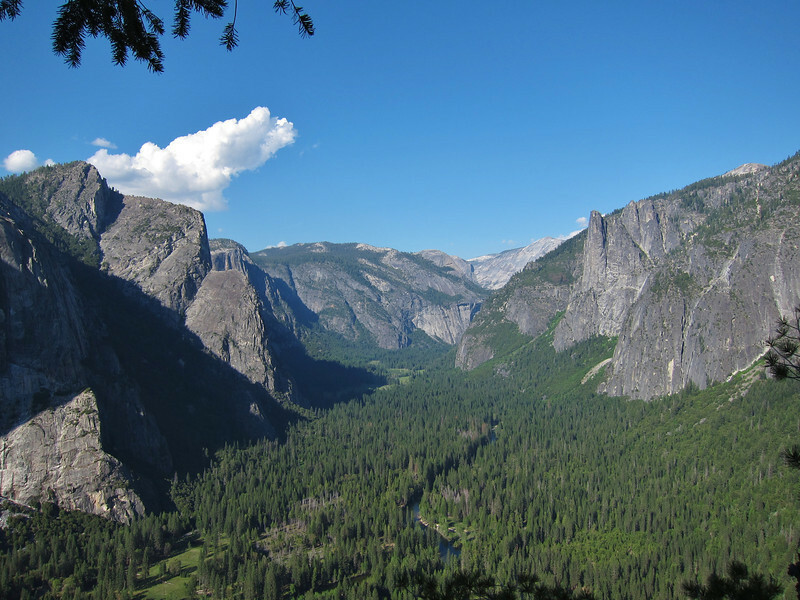 So this is actually a co-written Trip Report.